Decorative Ceramic Pink Jug - Charming jug in vintage, shabby chic style, perfect for holding flowers and creating decorative display. Embossed, ribbed detailing, this Decorative Ceramic Pink Jug will make a pretty wedding table centre. Beautiful home decor accessory for adding a splash of colour and shabby chic love to any interior. 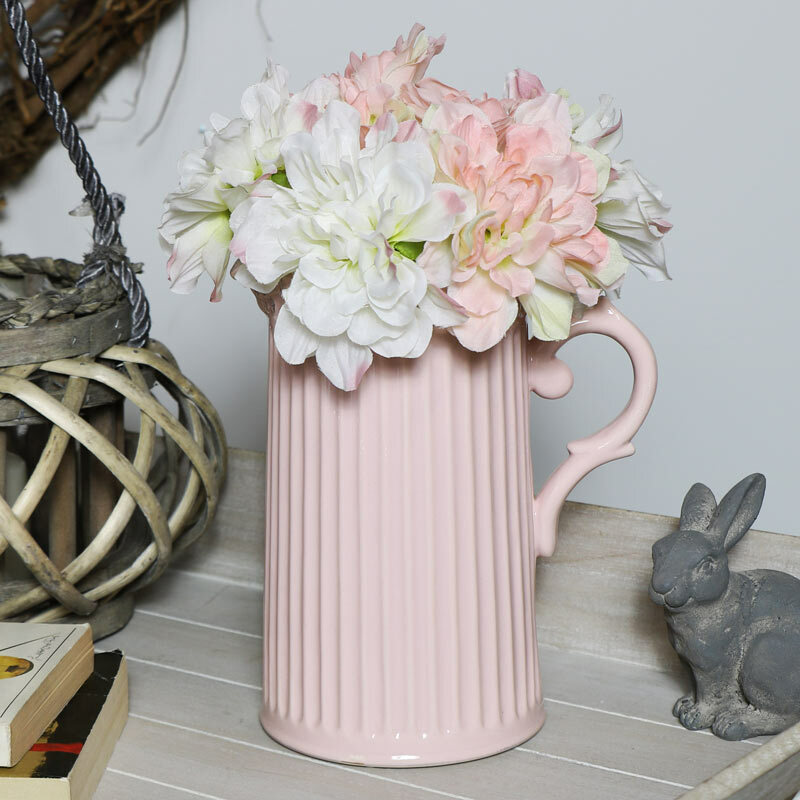 Decorative Ceramic Pink Jug - Charming jug in vintage, shabby chic style, perfect for holding flowers and creating decorative display. 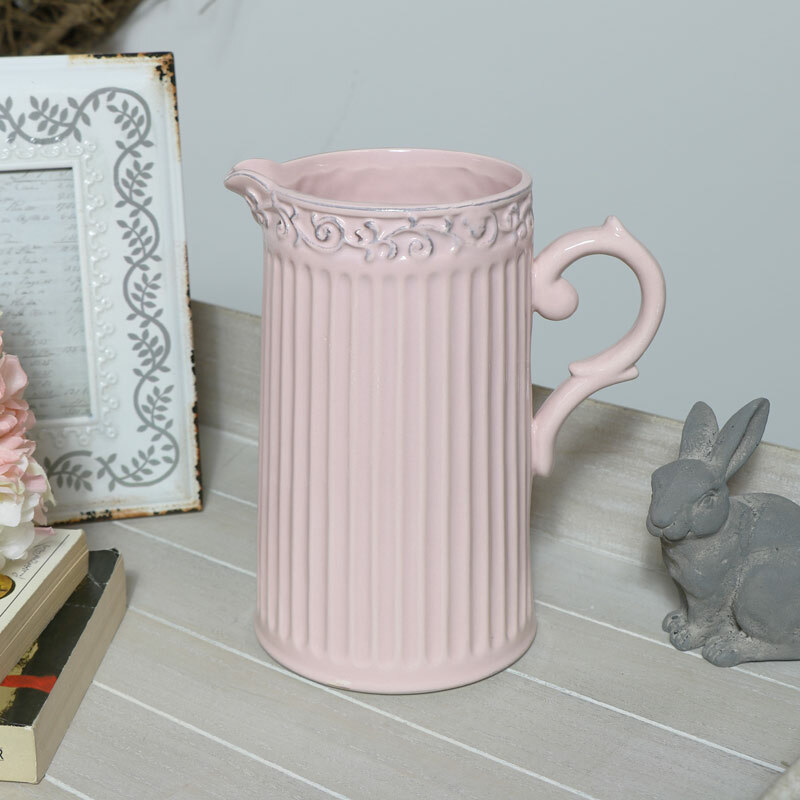 Embossed, ribbed detailing, this Decorative Ceramic Pink Jug will make a pretty wedding table centre. Beautiful home decor accessory for adding a splash of colour and shabby chic love to any interior. Ceramic pottery in a pink glaze fini with ribbed and embossed detailing.